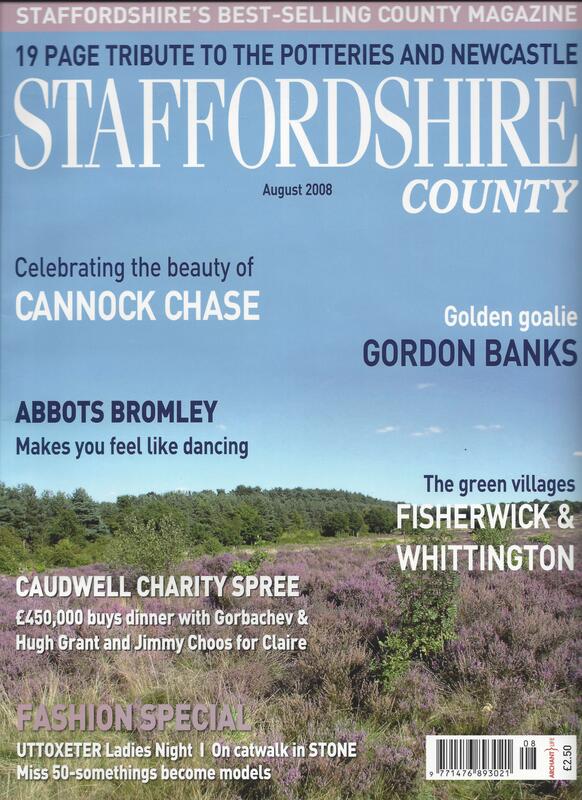 It seems like a good opportunity to post a feature of mine that originally appeared in Staffordshire County Magazine (no longer produced) in June 2008, along with some photographs from today’s dance. Please contact me if you would like to use any of the words or photographs. For 364 days a year six sets of reindeer antlers are kept in the Hurst Chapel of St Nicholas’s Church in Abbots Bromley. But on the first Monday after the first Sunday after the fourth of September the antlers are brought out for a day-long celebration that is one of the oldest traditions in Britain. Hannah Hiles finds out more. The Abbots Bromley Horn Dance – which this year  falls on September 8th – draws visitors from around the world to this attractive 13th century village between Uttoxeter and Burton upon Trent. While the first recorded reference to the dance is in Robert Plot’s Natural History of Staffordshire, written in 1686, it is said that it was first performed at the Barthelmy Fair to celebrate St Bartholomew’s Day in August 1226. However, whatever the origins of the dance itself, one set of antlers was found to date from the 11th century when carbon-dated during repairs in the 1970s. The dance consists of 12 dancers, six carrying reindeer antlers weighing between 16lbs and 25lbs, accompanied by the hobby horse, a jester, Maid Marian, a boy carrying a bow and arrow, a musician playing an accordian and a boy playing the triangle keeping the beat of the music for the dancers. After collecting the horns from the church at 8am, the dancers perform at locations throughout the village and its surrounding farms and pubs – although never leaving the parish – until the horns are returned to the church at around 8pm. The leader of the dance, Tony Fowell, has been involved with the tradition since his first appearance as a triangle player at the age of seven or eight. “I don’t like to think too much about when I started dancing,” he says. “It seems like I have been doing it forever sometimes, but it would have been 1957 or 1958. My grandfather was the dance leader at the time, and my father was also a dancer. The dance is not only a historical tradition, but also a proud family tradition, so I suppose it was a natural thing to be brought in as a position became available. Tony’s nephew Michael, who created the dance’s website [UPDATED 2/9/14: link removed as no longer working] last year aged just 13, is also very aware of the power of the tradition – and made his debut at the age of seven with the bow and arrow. While the origins of the dance have been lost in the mists of time, Tony and Michael favour the theory that it was a fertility ritual designed to bless the farms with good crops each year. But, for the dancers as well as the audience, the mystery is part of the appeal. “Some historians tell us that it is likely to be an ancient fertility ritual with pagan roots,” says Tony. “I like that theory. It sort of fits in with the feel of the dance, especially when performed at dusk, or night. But, I suppose it could just as easily been started by a bunch of ancient local jokers at the village fair. The truth is, we don’t know. I believe that it’s the ‘don’t know’ that’s so intriguing. That’s what gets people’s interest. Each time you think you have an answer, it simply raises another question. You can find more information about the dance, as well as a schedule of the day, at http://www.abbotsbromley.com/horn_dance. I wrote about the fascinating Samuel Johnson Birthplace Museum as part of the October 2008 Cannock and Lichfield county special for Staffordshire County Magazine. View a PDF of my feature about the Samuel Johnson Birthplace Museum here. 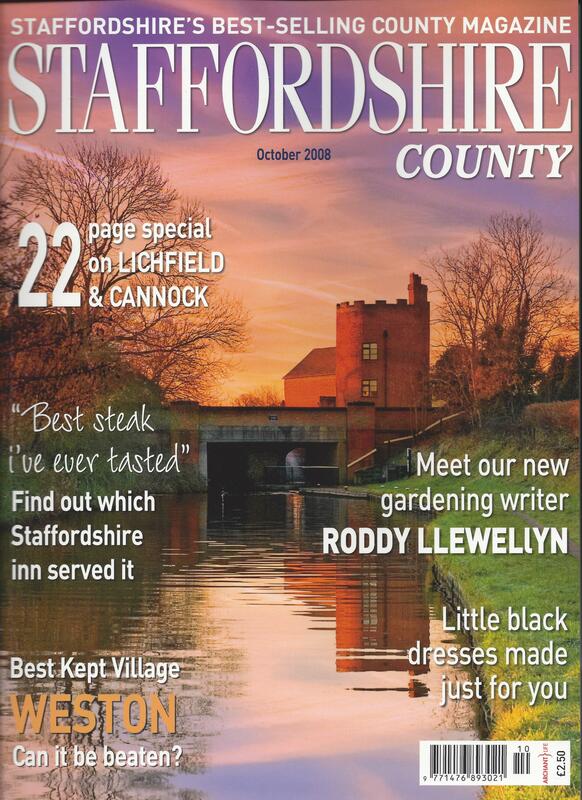 I wrote a pull-out about Cannock and Lichfield for the October 2008 edition of Staffordshire County Magazine. 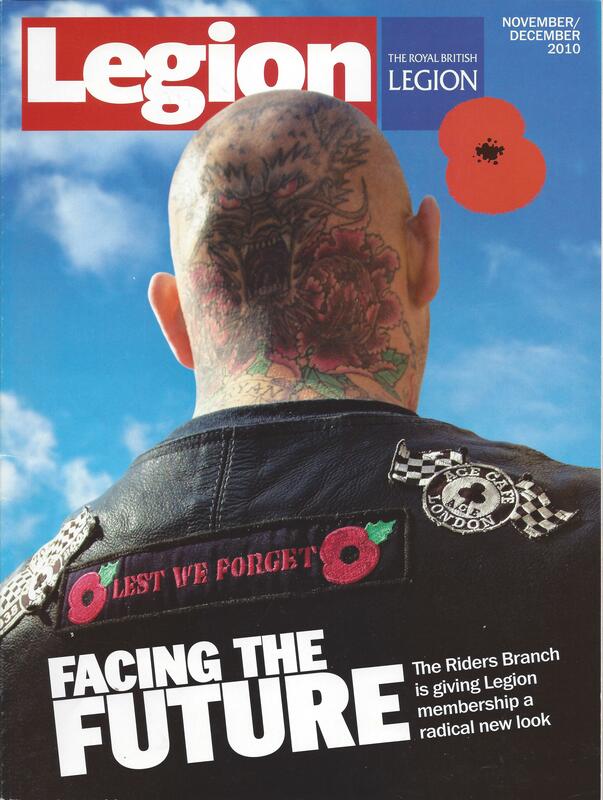 View a PDF of the Cannock and Lichfield guide, Beauty and Brains, here.